The Passion modular sofa from Softline convinces with its timeless elegance and high level of comfort. The modular series was designed by Stine Engelbrechtsen. The wooden legs are particularly beautiful, giving the modules a light and floating look. 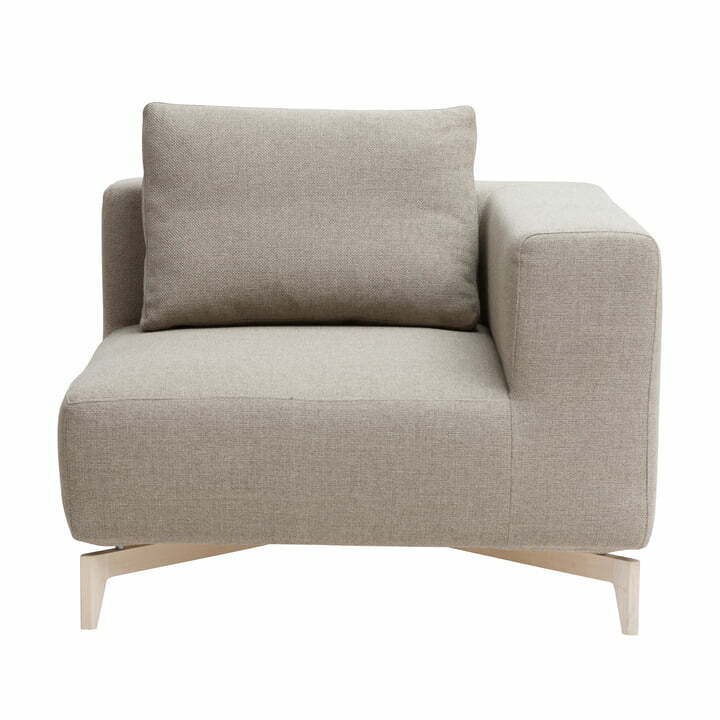 The series consists of individual and side sofa elements as well as a stool that can be pushed in front of the sofa as an extension. Versatile and flexible, the right sofa can be designed for every room situation. Whether a compact sofa for two or a large corner sofa for the whole family, the Passion modules discreetly adapt to any room and ensure a high level of comfort. The modules have ash wood frames. A foam upholstery makes the sofa comfortable, which is available with covers in different fabrics and colours. The modules are securely and firmly connected to each other with Velcro. Cushions are included with the individual and corner elements. Please note: The corner element can be rotated by 90° and can therefore be used as an end for both the left and right side. Details 1 x back cushion + velcro included. Removable covers. Replacement covers are available. 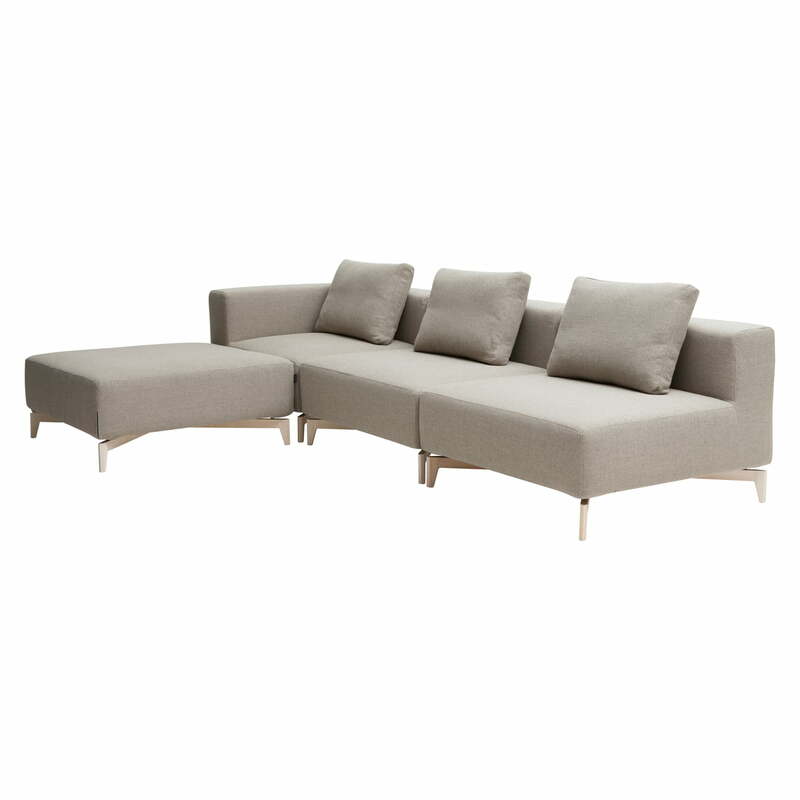 Passion modular sofa, corner element, ash / vision beige (446) by Softline in single view. 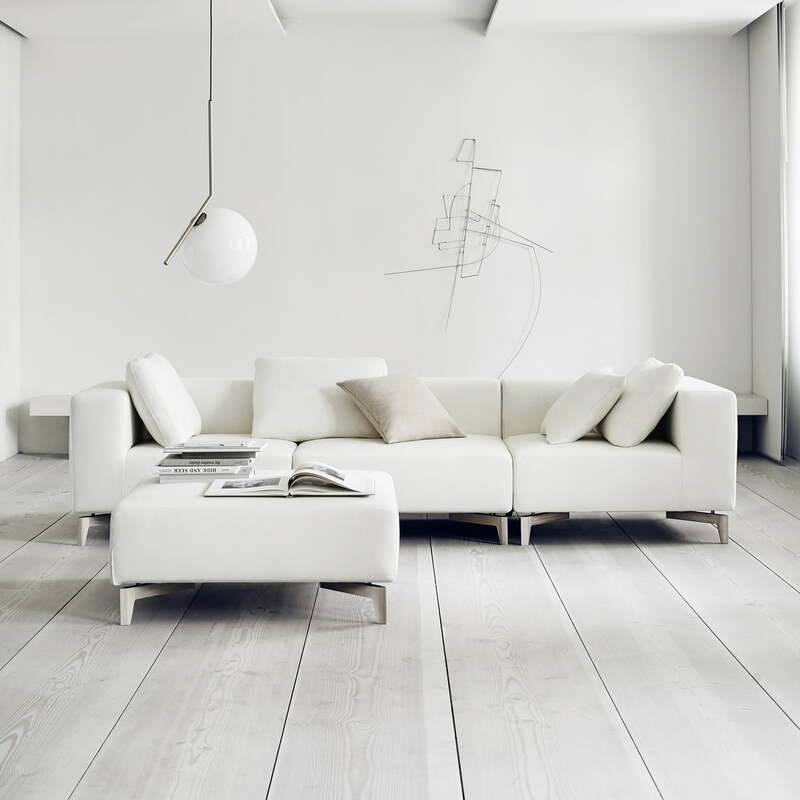 With the modules you can design a sofa according to your personal taste. Passion modular sofa from Softline in the ambience view. 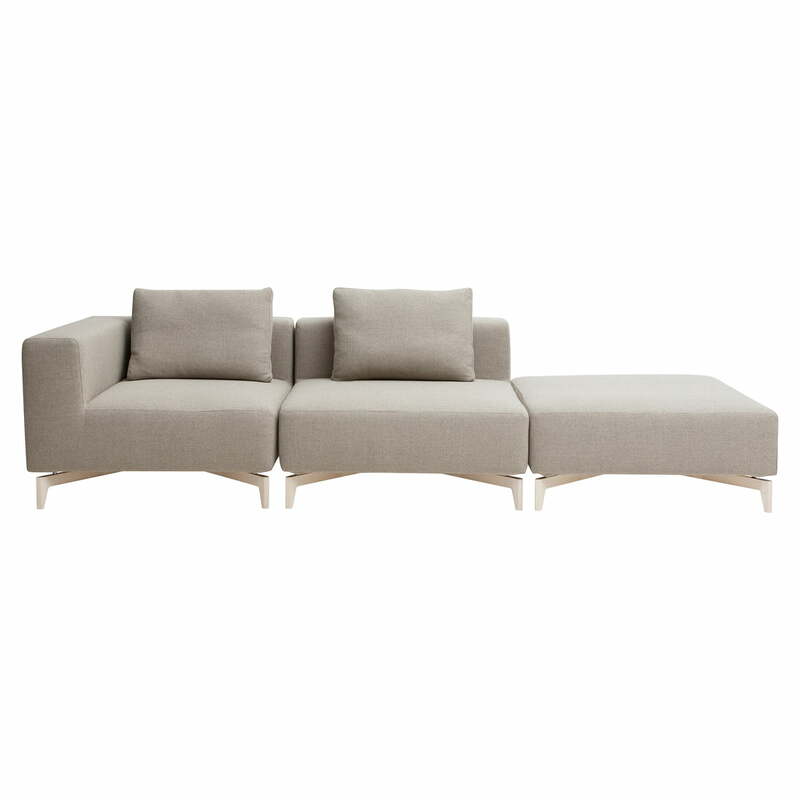 The Passion modular sofa from Softline convinces with its timeless elegance and high level of comfort.